At the end of trading on Wednesday oil prices have crashed. WTI oil has dropped to 44.48 dollars per barrel (-2.95%), at the time when Brent oil dropped to 47.75 dollars per barrel (-2.71%). On Thursday, prices of both oil brands started to recover. It should be noted that during Wednesday oil prices have increased based on the forecast regarding the reduction of crude oil reserves in the United States and investments in the world's largest companies specializing in the production of oil, announce the analysts from Fort Financial Services. 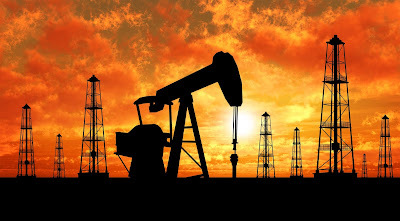 It is assumed that the oil price increase is based on the decrease of reserves in the USA by 1.2 million barrels during the week ending on 18th of September. In addition, European oil company Total SA lowered the targets for volume production of raw materials for 2017. The company announced a minimized investment and moved the deadlines for its projects. Meanwhile, when the oil price fell below $ 45 per barrel, it was locked in a narrow range. The economic growth in China decreased, which led to a downward trend in oil prices. The oil price has decreased by 25% against the May maximums. Forecasts for the duration of the excess supply in the oil market were revised towards growth. You may find a more detailed information on the website.